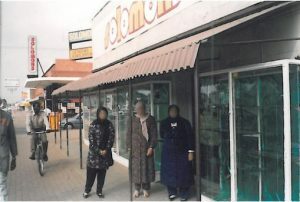 For over 90 years the Dockrat family have been trading in the Pretoria North community. The original business, which started as a small grocery and general dealer store, has grown to become a specialist department store, specializing in sporting goods, apparel, shoes, appliances, camping, fishing, electronics, lighting, jewelry, gifts, and cycling. Today the shop is spread over 3 buildings Solomons Family Outfitters and Solomons Lifestyle & Furniture. The Dockrat’s great-grandfather, began as a “smous” early in the 1900s, visiting farms and plots in the surrounding area. 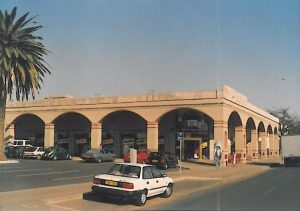 The roof of the shop was painted blue and customers often referred to it as “Die Blou Winkel” in those days most of the business was groceries and deliveries were made by horse or donkey cart In1994 the old store was demolished to make way for the new Solomon’s Lifestyle. The general dealer shop was transformed into a specialist department store, specializing in gas appliances, jewelry, lighting, fishing, camping, hunting, outdoor and cycling. In 2000 a professional cycling division was added and they now have cycle stores in Pretoria North, Lynwood, Woodmead, Durban and Centurion. Solomons has developed a deep passion for fishing over the years that is very broad from conventional carp fishing to the professional tiger, bass, surf, specimen, Deep sea and fly Fishing. They also have starter kits for beginners from 4-year-olds to Adults who want to learn the sport. You can expect friendly professional service, sales, and advice from any of their stores. You can expect friendly professional service, sales, and advice from any of their stores.